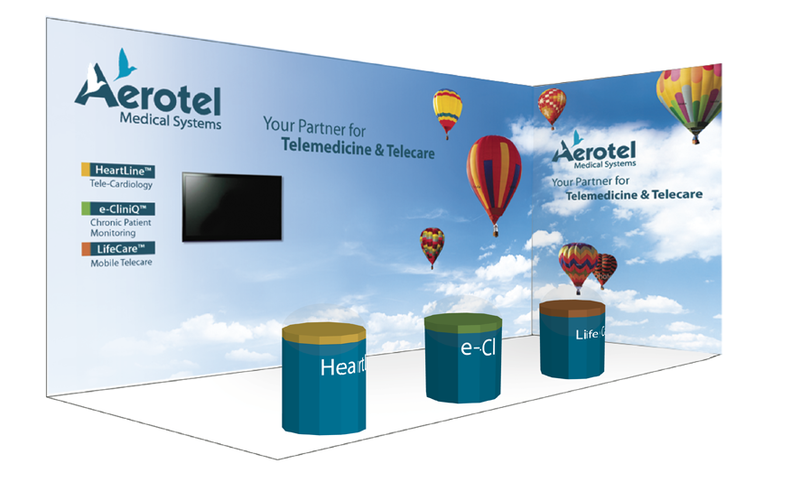 Aerotel Medical Systems will present a variety of remote monitoring and mobile health (mHealth) solutions at Medica 2011 in Dusseldorf, Germany on November 16-19, 2011 at Hall 9, Stand C01. Aerotel intends to present its innovative GeoSkeeper, a personal wireless GPS location and tracking device, at Medica, which is the world largest medical trade fair. GeoSkeeper offers a new level of safety beyond existing PERS (Personal Emergency Response System) and traditional social alarm systems. The GeoSkeeper is expected to soon receive the U.S. Federal Communications Commission (FCC) Certification, paving the way for further strengthening of Aerotel's position in the lucrative US market. In a newly designed booth in Medica, Aerotel will also showcase the Connect-CELL telehealth homecare hub, which was recently awarded by Connected World Magazine the prestigious gold Value Chain Award in the home health category. The Connect-CELL hub is part of Aerotel's e-CliniQ system, which is one of the most cost-effective home telehealth solutions available today with proven clinical and economical benefits. With more than 4,560 exhibitors and 116,000 square meters of floor space, Medica 2011 is considered as the leading event for in the medical industry. Two thirds of the exhibitors this year are from outside Germany and more than 60 countries will be represented at the fair.